SharePoint 2010 developer 10 hands-on lab, This would be good start to learn SharePoint 2010 development. The labs is available in C# and Visual Basic. In case if you used Host Headers in your SharePoint Web Application create the system may Loopback prompt for Authentication to fix this issue? To setup SharePoint 2010 development server you need to High end Laptop OR PC which must have capability to run 64bit OS either Windows 7 (Ultimate) OR Windows Server 2008 R2. I am running my laptop Windows 7 Ultimate 64bit version, the problem is RAM I have only 3 GB RAM. 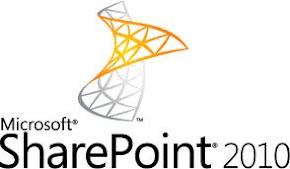 I can Install SharePoint 2010 on Windows 7 OS but it is SharePoint all the time and take up lots of resources and run services which will eat up my battery very fast. So I thought of Installing on VMWhere workstations 7.0 or Virtual box the problem is RAM I can only allocate the maximum of 1.5 GB RAM. The resource is nothing because Windows 2008 R2 needed 2.5 GB RAM and SharePoint server need another 2 to 4 GB of RAM. To avoid above problem and maximize my resource utilization I decided to use VHD mode boot. Boot your machine using the Windows 7 DVD. Make sure that you selected English (if is appropriate) Click next on the language screen. SHIFT+F10 to launch a WinPE command console. Please install below Pre-requisites software. When you click SharePoint Server 2010 Beta Pre-requisites software installation verification the system may display follow error just ignore. Since you are Installing on Windows 7, When you click Install SharePoint 2010 link the system will display following error message “Setup is unable to proceed due to the following error(s): This product requires Windows Server 2008 (x64) . To over this issue. Add below statement on Config.xml file. Before you start Installation, go to Start -> Control panel -> Programs -> Programs features -> Click Turn windows features turn on or off. Enable Internet Information service, Application development feature, Common HTTP feature and security features. Once enable start click run… SharePoint 2010 may provide you below warning… just ignore it. When you move to step 5 SharePoint display below error. Go to services and try to start SharePoint Server Search V4 manually. Incase If they are not getting started manually also then you might need to change the Identity to run the service to Local System. Microsoft.Office.Server.UserProfiles.UserProfileException: The request channel timed out while waiting for a reply after 00:00:59.9980468. Increase the timeout value passed to the call to Request or increase the SendTimeout value on the Binding. The time allotted to this operation may have been a portion of a longer timeout. Failed to create sample data. Re-Start you Windows 7 and then Re-Run your SharePoint configuration wizard. Note : this installation based on SharePoint 2010 beta 2. On Thu 11th Feb 2010 I am presenting the list SharePoint 2010 List Improvements. • Listing customization on Info path. Faizal has over a decade of experience in Information Technology with a focus on enabling portals, Internet and Intranet. His area of specialisation include but are not limited to evaluate and develop migration strategies for Lotus Notes application to SharePoint/.NET based solution, design content management, web-based self service and collaboration solutions.